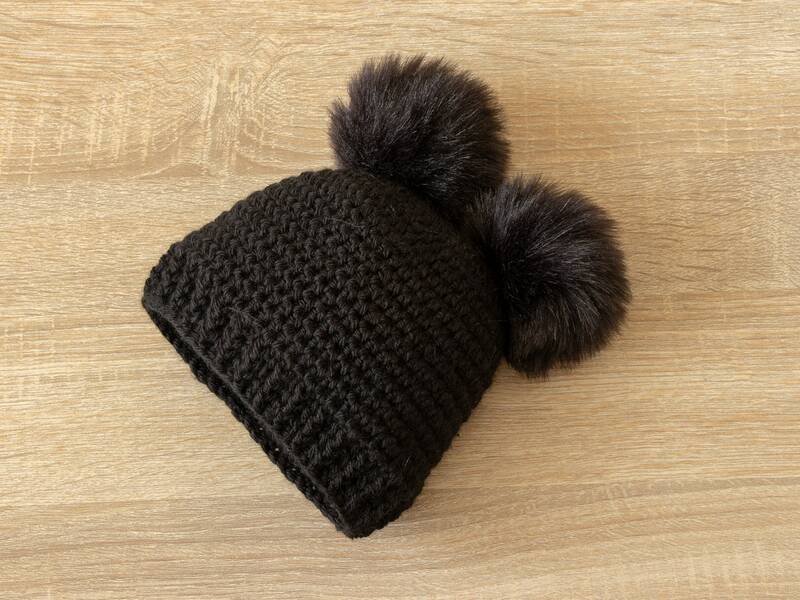 These black baby booties and double pom pom hat are made of a soft acrylic yarn (super soft, NO itchiness!). Perfect for the cooler months. Great set for babies first photos and it perfect for baby shower or new baby gift. Booties comes in a box. Head Circumference: 10.5" - 12"
Head Circumference: 11.5" - 13"
Foot length: 8,25 cm / 3 1/4" approx. Sole length: 9 cm /3.5"
Head Circumference: 15" - 17 "
Sole length: 10 cm /4"
Sole length: 11 cm /4.5"
Absolutely wonderful, Thank you! We will recommend to our friends.